Maybe you haven’t officially started collecting coins yet — or maybe you have. Either way, I’m going to show you how you can add coins to your collection without investing a dime. Seriously. Imagine if you could collect coins at face value… or even for free! I know many coin collectors would love to collect coins without having to pay numismatic premiums (the markup in price over a coin’s face value) when adding coins to their collections. So, how is it possible to build a coin collection without spending more than the face value of a coin? Or even better — without spending a cent? Well, during my quarter century as a coin collector, I’ve found at least 8 ways to add coins to my collection without spending anything more than the face value of those coins. Many coins I’ve even picked up for free — legally, of course! #1 – Check Your Change! 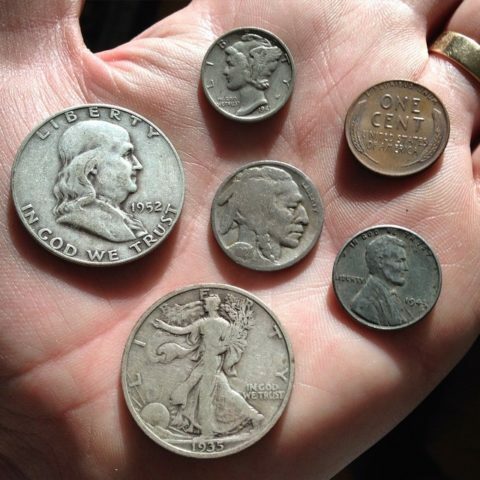 For most coin collectors, this is where we get started (and where I did) — by checking our pocket change. Finding collectible coins in circulation means scoring great additions for your collection for the mere face value of the coins. That’s a remarkable deal, considering all of the valuable coins that are floating around in pocket change. All of these coins are worth more than face value, and I’m sure if you keep checking your change you’ll make similar valuable finds, too! 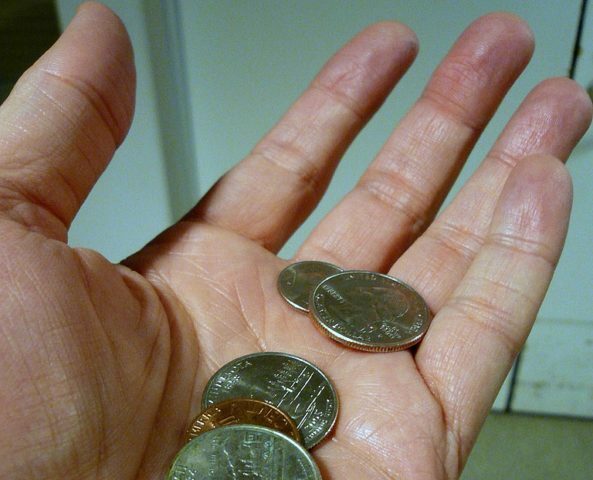 #2 – Look For Coins On Sidewalks, In Vending Machines, Etc. It’s possible to start collecting coins after spotting them in unusual places — such as on sidewalks, in the change returns of vending machines, even laying around on the floor at the mall. Generally, it’s OK to pick up and keep small change like pennies, nickels, dimes, and quarters that you find laying around. But, I recommend letting your local police department know about any valuable coins you find sitting unattended — because their owners may be looking for them! I’ve found old Lincoln pennies and Jefferson nickels in the strangest of places — for free! Maybe you’ll have similar luck. #3 – Trade Coins In Vending Machines. Ever notice what happens if you put a nickel, dime, or quarter into a vending machine coin slot and hit the change return button before selecting an item? Usually, you’ll get different coins back in change. I’ve been trading nickels, dimes, and quarters in vending machines for years. It’s a perfect way to collect coins without spending extra money above face value for them! Of course, you’ll need to be considerate when using vending machines to find coins for your collection. If there are people waiting to actually buy items from the vending machine, I’d suggest stepping aside and letting them make their purchases first. Besides, maybe they’ll drop a coin or two in the machine that you need for your collection! Good luck. 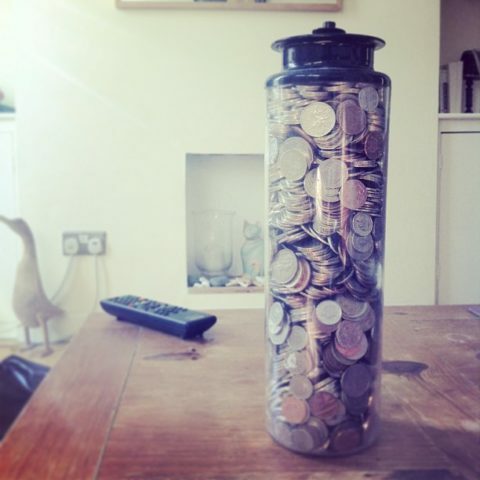 #4 – Ask Friends & Family If They Have Loose Change Jars. I’ll bet you have many non-numismatist family members and friends who have huge jars of coins they’ve been saving for some time. It will save them time from having to roll the coins and take them to the bank. Based on what you find, maybe you’ll be able to encourage them to start collecting coins t00! If they’re not at all interested collecting, then chances are pretty good that they’ll let you have the coins you want — either for free, or for the face value of the coins. This is a fantastic way to collect coins for face value — and you’ll be helping your friends and family in the process! Have you seen those little change bowls near cash registers at diners, gift shops, and other smaller establishments? They’re usually called Take-A-Penny, Leave-A-Penny jars. They’re designed for anyone who needs a penny to get the exact change for a cash purchase. And those who don’t want to carry around loose pennies can drop them off for other customers to use. Take-A-Penny, Leave-A-Penny jars are more than just kind conveniences for customers — they can offer mini-jackpots for coin collectors. I’ve found old wheat cents, copper Lincoln Memorial cents, and other cool finds in Take-A-Penny, Leave-A-Penny jars. Before taking pennies, be sure to ask the cashier if it’s OK to look through the coins to see what’s in the there. And, of course, be sure to leave an even exchange of pennies in return! I’ve documented my coin roll searching finds in other articles. This is your friendly reminder that looking through bank rolls is, indeed, a great way to find old, valuable coins. Buy rolls of coins at face value from your bank. Pick through the rolls looking for coins that you want for your collection. Return the remaining coins to buy more rolls of coins. I’ve found copper Lincoln pennies, pre-1960 Jefferson nickels, and other old coins that way. 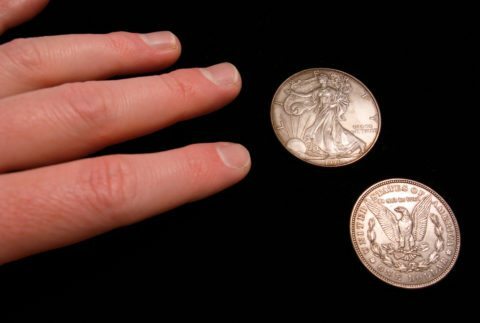 Spend a day looking for coins around your home and you may find exactly what you need for your coin collection. Here’s a list of the most valuable coins you should be looking for in all denominations. Have a metal detector? Able to borrow one? If so, then you can start collecting coins and other valuable treasures by scanning the beach, your property, and other places that you’re permitted to check. 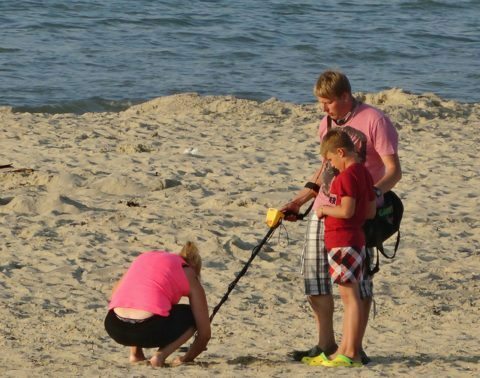 Using a metal detector requires a little bit of skill, and there are also trespassing concerns and other legal issues you’ll encounter if you to choose to look for coins that way. Once you familiarize yourself with the basics of metal detecting, you’ll be all set to rock on. And you’ll be amazed at some of the old, rare, and valuable coins people have found with their metal detectors. Good luck, and happy coin collecting!